After the horse has taken part in strenuous exercise, for example, after completing a cross country course, you’ll see many management techniques- but the theme that unites them is the desire to cool the tendons after exercise. Cooling the legs has two benefits. Firstly, it can help to reduce inflammation caused by any knocks. Secondly, it helps to cool the tendons, an area that sees an increase in temperature when the horse is working hard, especially when boots are used. Boots can be brilliant when it comes to protecting against the damage that could be caused by catching a jump or a high overreach, but cooling afterwards is important too. There are many ways to do this. The first option is to use cool water, although this should really be done anyway to remove sweat and dirt before you do anything else. This also gives the owner a chance to check for scrapes and swellings that might require different treatment. After this, the choice widens a little. Many people apply clays, like Legs R Cool, which help to cool the leg for a prolonged period of time. This can be used on its own where it eventually dries out or can have plastic or brown paper placed around it and then bandaged over. Our product is made using natural clays but also contains anti bacterial and anti fungal agent Microlat along with aloe vera, witch hazel and arnica among other ingredients. Another option is a cooling wash or gel like Leg Gel. Our Leg Gel can be used diluted in water to cool and refresh, or undiluted and bandaged over as per Legs R Cool. Ice or cooling boots or bandages are another option. These can form part of the horse’s travel boot or be used as a stand-alone product. 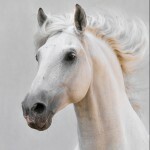 There are many different versions available; it depends on what you and your horse prefer. The important thing, before applying any gels or clays, is to check the legs thoroughly for any injuries that require treatment or covering before topical products are applied, as many shouldn’t be used on open wounds. 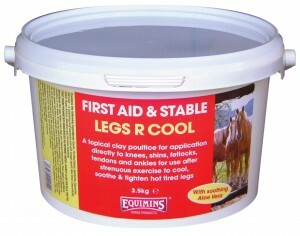 After the initial cooling, you might be in need of further products to help your horse recover. 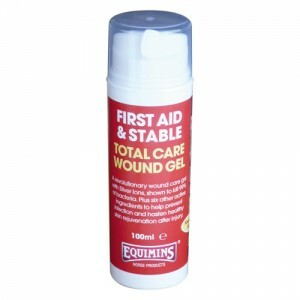 Wounds can be helped by our Wound Gel , MSM Cream or Equi-Balm, depending on their nature, whereas Muscle Embrocation can be used for bruising, soft swellings and minor strains, as can Arnica and Witch Hazel Gel. If you are concerned about your horse’s wellbeing or any ailment, it is always best to seek veterinary advice.